Naturepedic specializes in the design and manufacturing of quality organic mattresses for infants, toddlers, children and adults that promote natural and organic materials, a non-toxic design, fire-safety, and overall health & safety. All Naturepedic natural and organic mattresses have been designed with the help of pediatricians, orthopedic specialists, chemists, and engineers and are constructed by Amish craftsman. Research and design is coordinated by G.E.M. Testing & Engineering Labs in Cleveland , Ohio. All Naturepedic mattresses are manufactured to provide long lasting heirloom quality workmanship. We have done the research and gathered the right materials so that you can focus on what really counts - giving yourself or your child a healthy sleep environment. We believe that Mother Nature provides the best materials for a healthy and comfortable sleep. Life is too valuable to take unnecessary chances. Why not just use more natural products that don't carry the same risks as synthetic and petroleum based ingredients? All of us at Naturepedic invite you to join in our mission of improving our lives and the lives of our children through healthier sleep. In doing so, you are also promoting sustainability and good stewardship. Getting a good night's rest is so important as a Mama! Not only does it mean YOU are in a better mood, but your mind is thinking more clearly, and you are just able to be a better person. 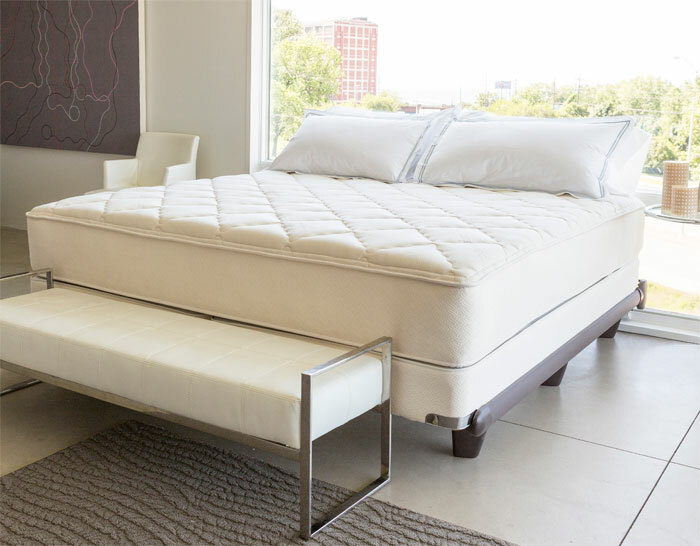 Having a good mattress is essential to getting a good night's rest! Sponsored by: NaturePedic Co-Hosts: Mom Blog Society | Budget Earth | Mom to Bed by 8 | Green Grandma One lucky reader will win a Mattress, Foundation and Frame from NaturePedic. Simply enter via the Rafflecopter below. GOOD LUCK! Disclosure: MamaBreak did not receive compensation for this giveaway. Facebook, Twitter, & Pinterest are in no way associated with this giveaway. Prize fulfillment and shipping will be handle by NaturePedic. I am on the market for a new bed, mine is old and hurts my back. Our mattress is so uncomfortable... my husband got it without me. Ugh! I'd really LOVE a new one. Thanks for the great giveaway! I would love to win because I was just told I have a bad back and Osteoporosis.